Happy Monday, My Lovelies! Christmas is only one week from today. 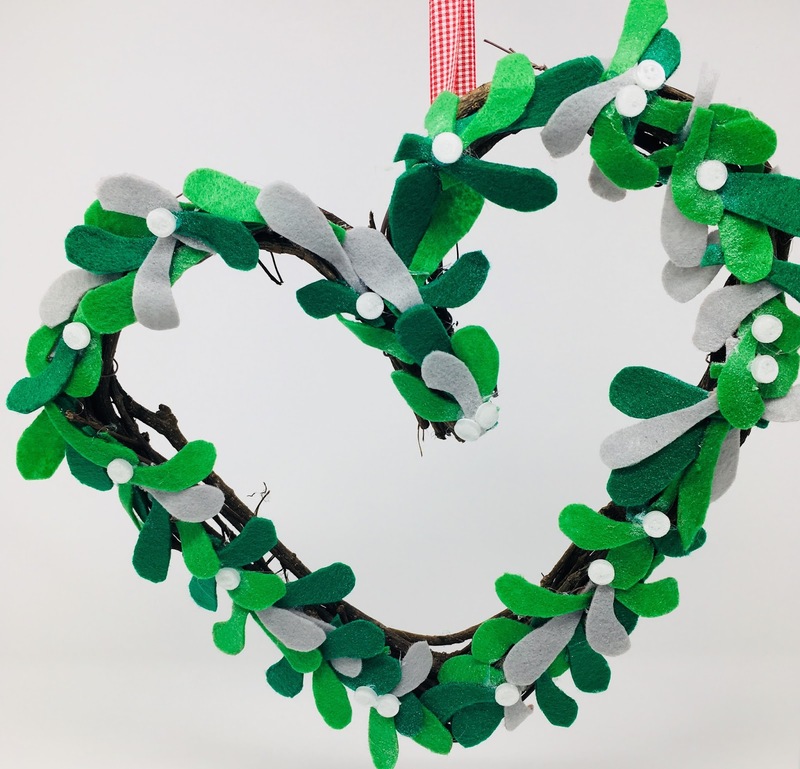 Have you gotten your Christmas craft on yet? There's still time! 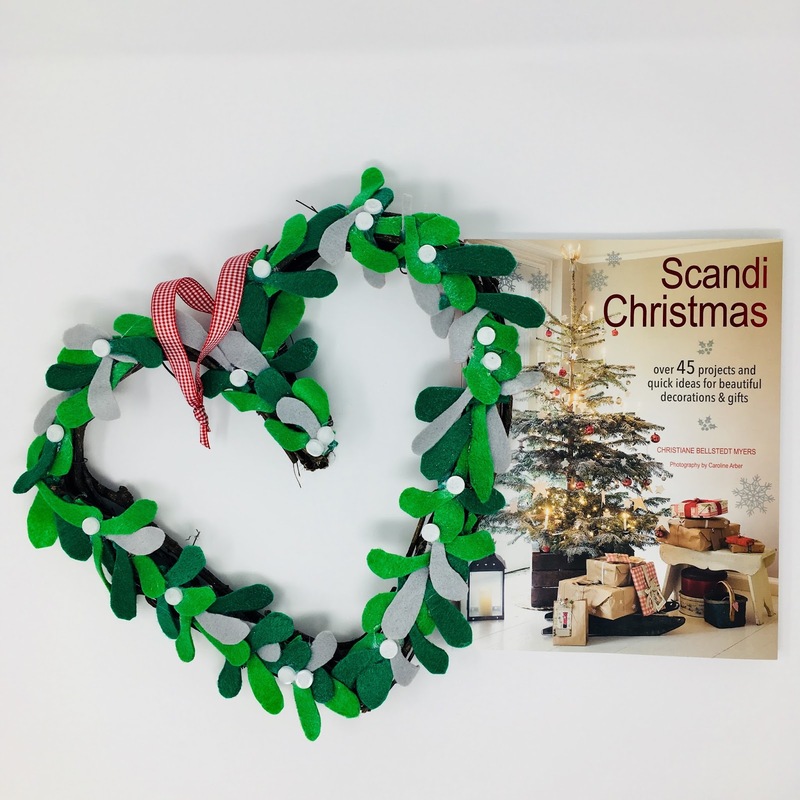 If not, I have the book for you: Scandi Christmas by Christiane Bellstedt Myers. 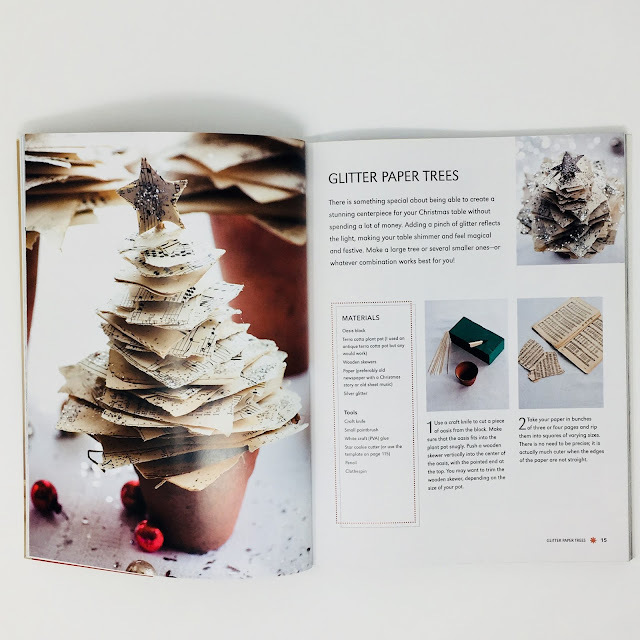 I confess that I've accumulated way to many Christmas craft books over the years, but this one might be my very favorite. 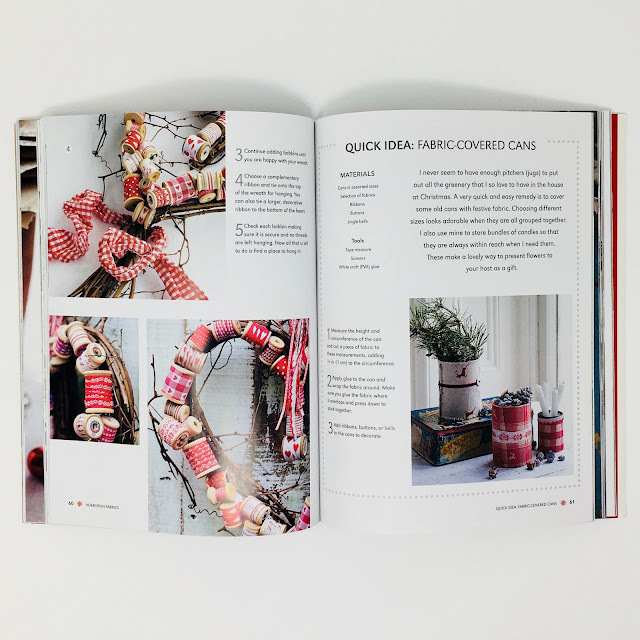 There are over 45 projects and quick ideas for beautiful decorations and gifts inside this little gem. For 2018, I've decided to begin making the crafts and many of the gifts starting in August because I love the natural simplicity of the projects. 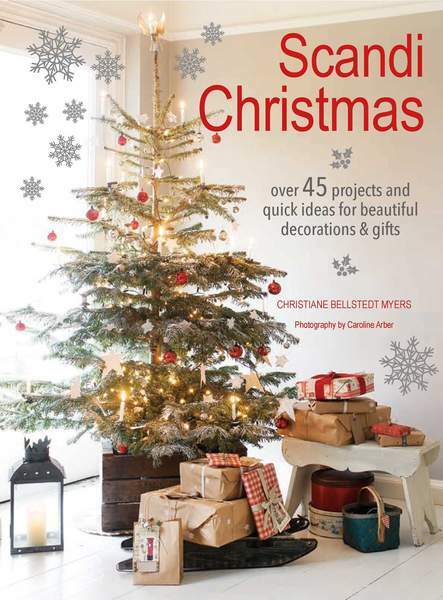 There are so many projects I love in this book like clove scented ornaments, tea light apron (how hygge is that? ), and embroidered tea towels. All of the Christmas decoration crafts are beautiful in this book, and the pretty quilted and embroidered stockings are a favorite of mine. I love the simplicity of the glitter paper trees. For those of you who sew, the adorable fabric and ribbon-covered spools attached to a wreath would be pretty in a variety of colors, but I admit that red is my favorite. This project, one of the most time-intensive in the book, only took me two hours from start to finish. Keep in mind I made it on a Sunday afternoon, so I had several distractions and disruptions! Do you like Scandinavian design? What about for Christmas? I do admire this look, and always pore over all those Scandinavian blogs every Christmas. However, I am a maximalist and I cannot leave anything bare! It is just inn my genes to have lots of "stuff" I guess. Your wreath is darling! I admire the Scandinavian look at Christmas. It's clean and fresh! I'm going to make a note of this book. I’m envious of your crafting skills. I got as far as picking pinecones and branches for a natural centerpiece but my creativity flamed out before I could do anything with them. Perhaps next year. We were in Germany two years ago for early December and we stayed in a place that was decorated like this. It was the first time I had seen it and it was absolutely enchanting! Yes, I still have things I want to create - but time is running out! Have a wonderful last week before Christmas! Oh this is so sweet!! You have really embraced hygge! 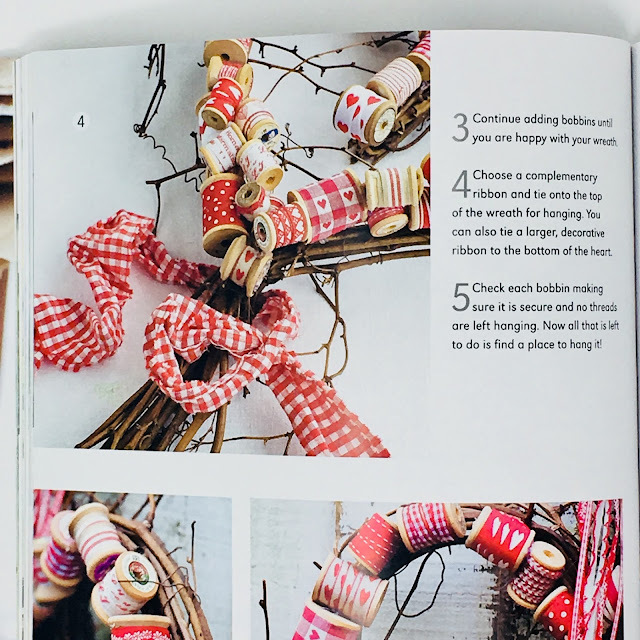 I need this book, said the person who never needs another Christmas craft book for the rest of her life! Oh, I love everything you showed! I've seen another blogger make those trees and already bookmarked that page for next winter. I love the wreath and the spools. Oh, RJ, I love it all! 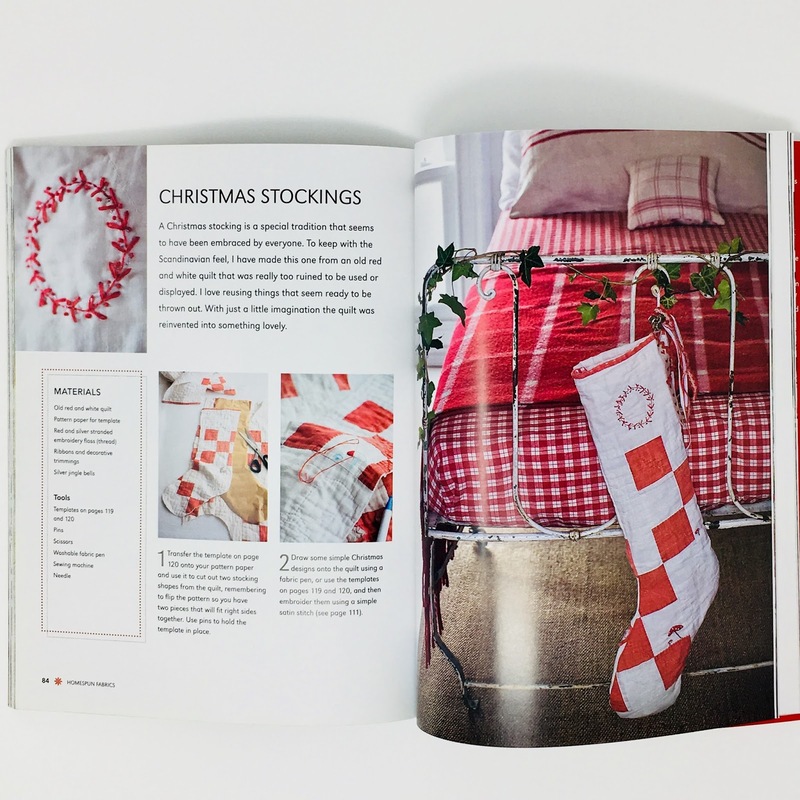 I love the look of Scandinavian style for Christmas and that book looks wonderful. 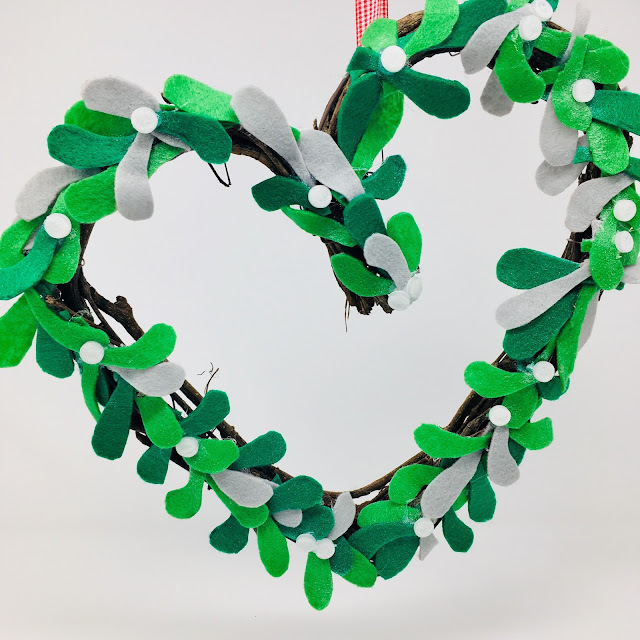 Your wreath is too cute!